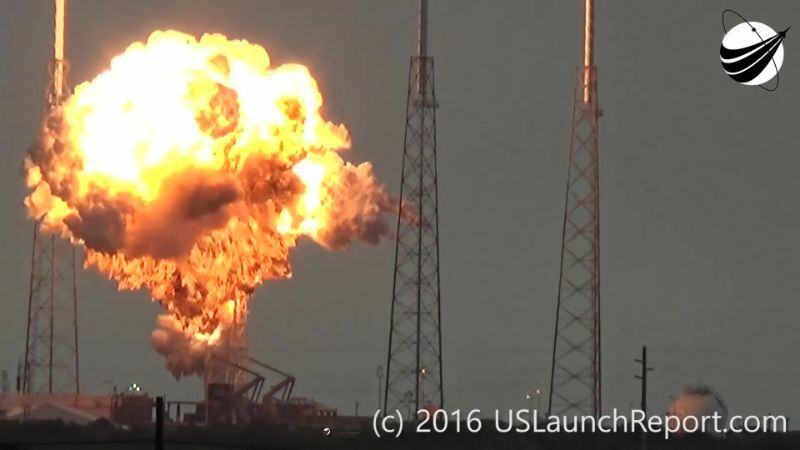 SpaceX CEO and Chief Designer Elon Musk took to Twitter Thursday night noting that the energetic on-pad explosion was “Turning out to be the most difficult and complex failure we (SpaceX) have ever had in 14 years.” Musk thanked NASA, the Federal Aviation Administration and the U.S. Air Force for their inputs in the ongoing failure investigation. Taking Musk’s statement and the fact that over a week has passed since the event provides a strong indication that SpaceX has closed a number of roads in their fault tree analysis. After the previous Falcon 9 failure in 2015, SpaceX concentrated all engineering efforts on the analysis of available data, amassing thousands of engineering-hours within a period of only a few days. In a statement issued last Friday, SpaceX said that over 3,000 channels of telemetry and video were being reviewed with particular focus on a time period of only 35 to 55 milliseconds during which the failure manifested. Now, after a week of extensive study, Musk’s statement is a strong indication that no obvious failure signature could be found in the engineering data from the Falcon 9 rocket and its launch pad systems. With all of the more-obvious scenarios ruled out beyond reasonable doubt, SpaceX is now heading into an area where scenarios that were deemed extremely unlikely are being considered, including factors external to the rocket and possibly even unrelated to ground support equipment. 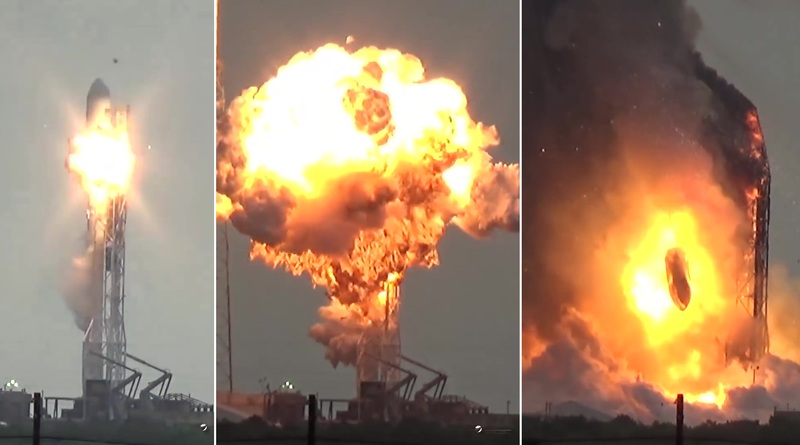 Any common causes such as an energetic event within the second stage – be it a Helium vessel letting go, a leaky umbilical, or the tank bulkhead collapsing – would show up in telemetry and give SpaceX something to work with. While the public only has one high-quality video of the event, published by U.S. Launch Report, SpaceX has access to a number of video feeds from launch pad cameras at SLC-40, but it is unknown how many of them record audio. Normally, there should be no problem locating whether the sound in question originated from the rocket by comparing close-range pad audio and the U.S. Launch Report Video taken from around four Kilometers. Even more puzzling, SpaceX asked the public to send in any recordings (video, photos or audio) of the event. This would imply that the company is trying to locate the source of the pop & click sounds heard in the U.S. Launch Report video between five and six seconds prior to the explosion. Had these sounds originated directly from or near the rocket, SpaceX should know so through their own video equipment if it was up and running & capturing audio. Also, an intrinsic event, building up to the point of failure over six seconds, would show up in telemetry from the vehicle. In a reply to a Twitter user, Musk confirmed that SpaceX was not ruling out the possibility of an external impact on the rocket. Although it is standard in an investigation not to rule out even the most-remote possibility, many found it curious that Musk who gets thousands of Twitter queries every day picked this particular question to answer. 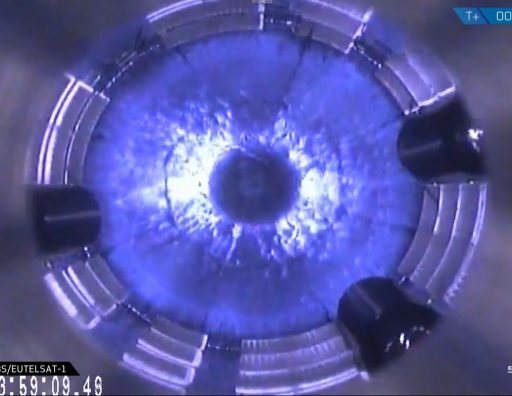 After last year’s SpX-7 failure, information came forward on how SpaceX was able to pin-point a failed mechanical strut as the root cause of a Helium tank breaking loose and releasing its contents into the second stage LOX tank. According to SpaceX, accelerometer data from the second stage was processed to perform an acoustic triangulation which pointed to the location of the failed strut. If telemetry from the second stage’s accelerometers was being recorded when the on-pad failure occurred, any external impact carrying a certain momentum would be visible in the data. Musk’s midnight Tweets added fuel to speculation on potential causes that had been underway in all corners of the Internet since the explosion occurred, ranging from valid analysis of the sounds heard in the video of the event, to tabloid sites claiming ridiculous anti-social alien theories. Over the company’s history, SpaceX has gained quite some experience diagnosing the causes of failures with limited data available, although this latest case may prove to be unlike anything seen to date. Falcon 1 suffered three consecutive launch failures between 2006 and 2008 when SpaceX was still a relatively small company. These mishaps could mostly be attributed to typical teething issues in a combination of complex engineering and a learning curve in procedural oversight within the developing company. 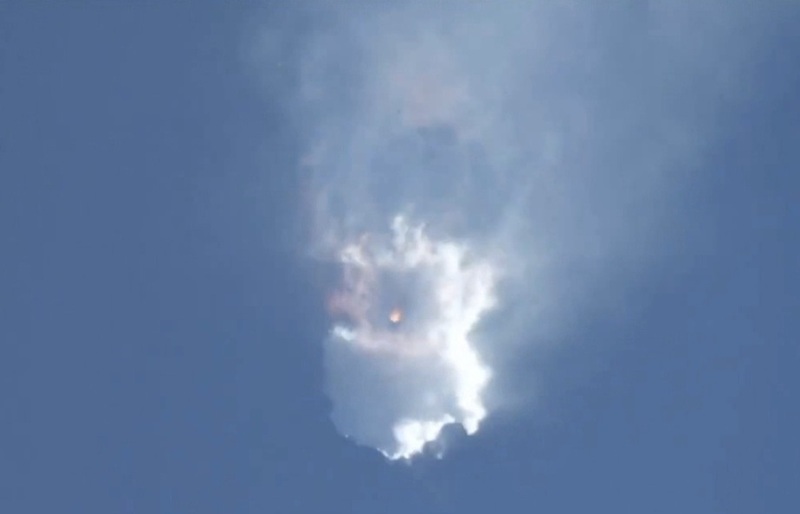 Falcon 9 suffered a partial failure on its fourth mission when one of the nine Merlin 1C engines on the first stage shut down 80 seconds after launch. While the Dragon cargo craft the rocket was carrying reached its intended orbit after compensation for the lost engine by the first and second stages, a secondary payload could not be lifted into a higher orbit causing it to re-enter just a day after launch. 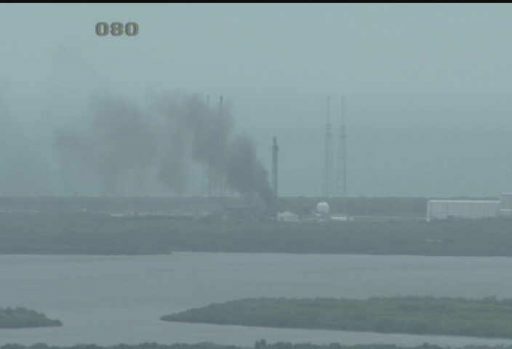 In August 2014, SpaceX’s Falcon 9 Dev1 test vehicle was destroyed over the company’s Texas test facility due to action by its Flight Termination System after an in-flight anomaly related to a faulty engine sensor. 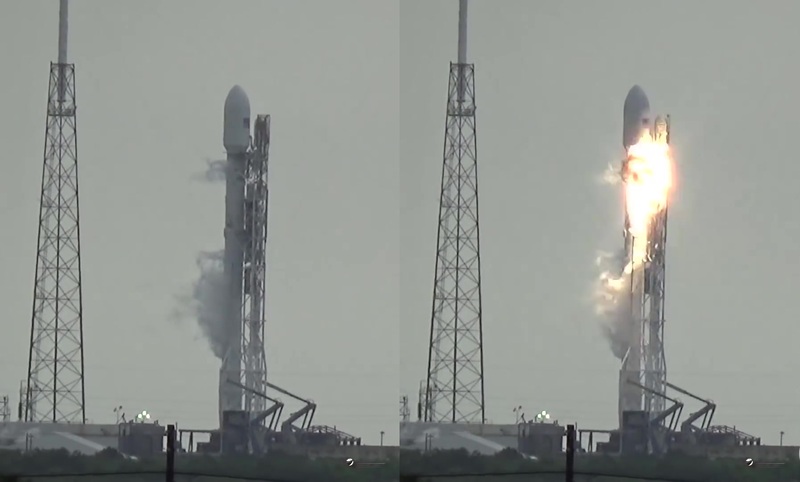 No impacts were suffered by the operational Falcon 9 due to a redundant sensor design on vehicles flying orbital missions. 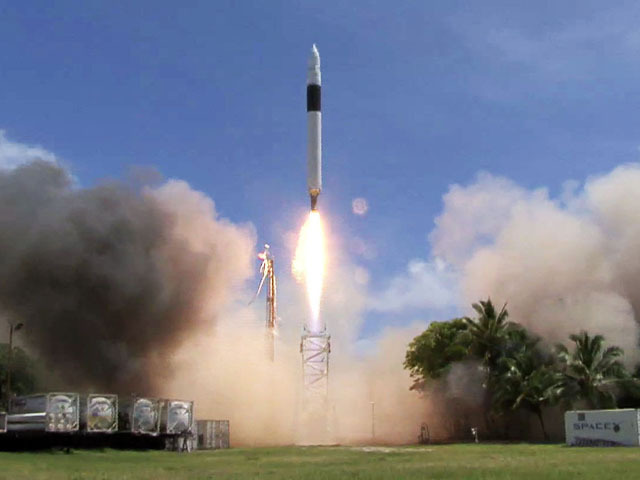 The first Falcon 9 lost in flight was carrying the Dragon SpX-7 mission to the International Space Station. A little over two minutes into the mission, the now infamous Helium COPV broke loose within the second stage LOX tank. The resulting overpressurization led to a loss of integrity on the upper stage and claimed the loss of Falcon 9 and the cargo craft. All previous SpaceX failures have in common that some knowledge on what had transpired came forward in the hours or days after the event which seems is not the case in the mysterious on-pad failure of the Falcon 9 vehicle. In the meantime, journalists had a chance on Wednesday and Thursday to collect long-range photos of Space Launch Complex 40 due to the nearby events related to the launch of NASA’s OSIRIS-REx asteroid sample return mission. The photos show that the launch pad is still very much in the same condition it was in last week – the Strongback structure is still vertical with visible damage on its upper section, the remains of the Falcon 9 are scattered on the pad floor, and components of the engine section still appear to be sitting on the launch table. It is very likely that SpaceX is carrying out forensic analysis of the debris field on the ground before lowering the Strongback so that it too can be subjected to a battery of surveys and tests to search for possible causes outside the rocket which may not have been captured in the data stream from the vehicle. Given the complexity involved in the investigation, it remains to be seen whether a definitive cause of the failure can be discovered in the coming weeks to put Falcon 9 back on a course to a speedy return to flight in order to continue tackling a busy launch manifest. 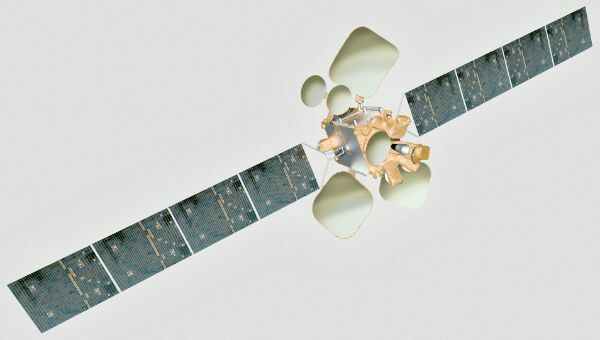 Satellite operator Iridium, booked for a total of seven Falcon 9 launches, stood by the Hawthorne-based company this week. 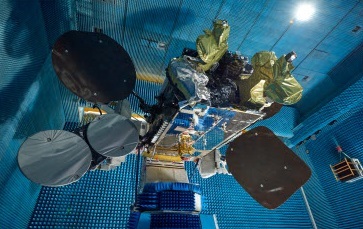 Although some schedule pressure exists in getting the company’s next generation of communications satellites off the ground, Iridium said it will remain in a holding pattern until SpaceX is confident in returning the Falcon 9 to flight as safely as possible.